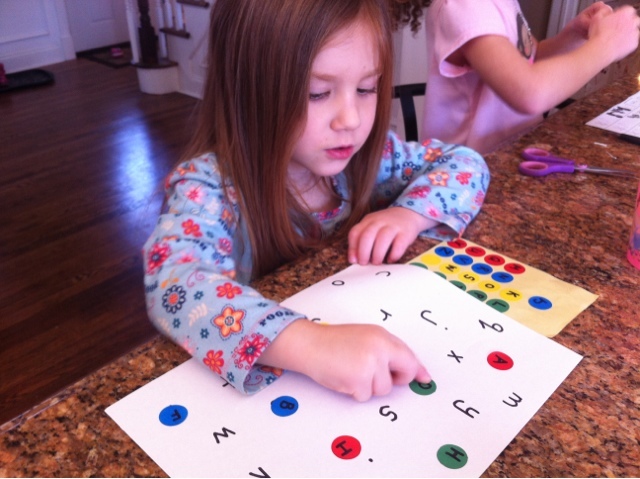 This is a simple activity to put together that helped Juliette recognize uppercase and lowercase letters. 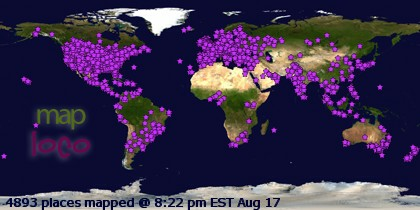 First, I wrote all the letters of the alphabet in capitals on colored dot stickers. Then I wrote the lowercase letters on a plain piece of paper. I did these in a random order so Juliette really had to hunt for them. Finally, she used the stickers to cover the letter matches. This was the perfect activity for my sticker loving preschooler!!! After she finished she said "another one, another one!!" So next we did this with numbers and dots. 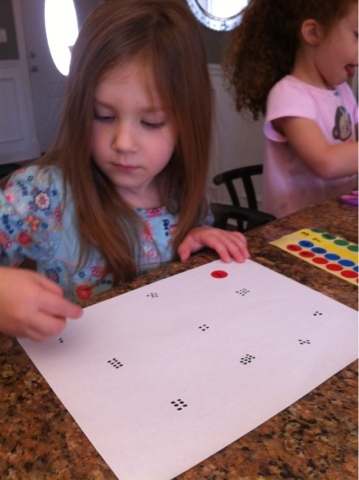 She practiced counting the dots and covering them with the matching number.